What is the Function of the ACL of the Knee? The anterior cruciate ligament (ACL) is one of four ligaments critical to stabilizing the knee joint. A ligament is made of tough fibrous material and functions to control excessive motion by limiting joint mobility. Of the four major ligaments of the knee, the ACL is the most frequently injured. When you have an injury to your ACL it often feels like the knee is "giving out." The anterior cruciate ligament provides the primary restraint to forward motion of the shin bone (tibia). The anatomy of the knee joint is critical to understanding this relationship. The femur (thigh bone) sits on top of the tibia (shin bone), and the knee joint allows movement at the junction of these bones. Without ligaments to stabilize the knee, the joint would be unstable and prone to dislocation. The ACL prevents the tibia from sliding too far forward. The ACL also contributes stability to other movements at the joint including the angulation and rotation at the knee joint. The ACL performs these functions by attaching to the femur on one end, and to the tibia on the other. The other major ligaments of the knee are the posterior cruciate ligament (PCL), and the medial and lateral collateral ligaments (MCL and LCL, respectively). Cruciate means cross. The anterior cruciate ligament crosses the posterior cruciate ligament (PCL) to form an X, or cross. The ACL is in front of the PCL, which is why it is named anterior while the PCL is posterior, or behind it. When looking inside your knee arthroscopically, the ACL is typically easily visualized. The PCL is often covered by soft tissue called synovium, and can be more difficult to visualize without clearing away some of this normal tissue in the knee joint. ACL tears can be readily visualized although there are times when the ACL can be torn, and the remnant ligament can be scarred down in a way that makes it looked like normal ACL tissue. Usually, a careful examination of the knee, and probing of this ligament can distinguish between a normally functioning ACL and a damaged ACL. Grade 1 ACL injury: A grade 1 injury is a sprain. The ligament has mild damage and the knee joint is still stable. Grade 2 ACL injury: A grade 2 ACL sprain is a partial tear with the ligament stretched and damaged. Grade 3 ACL injury: A grade 3 sprain is a complete tear of the ligament and it is the most common type of ACL injury. Typically people with complete tears of the ACL consider surgical intervention for their injury. Tears of the ACL can happen when you land a jump or make a sudden pivot, as is typical in sports such as basketball, soccer, football, and skiing. But you can also have a tear in a fall or work-related injury. Learn about causes, symptoms, treatment and prevention for ACL tears. Causes and symptoms of ACL tears: While ACL tears are common in sports, they happen most often without contact. 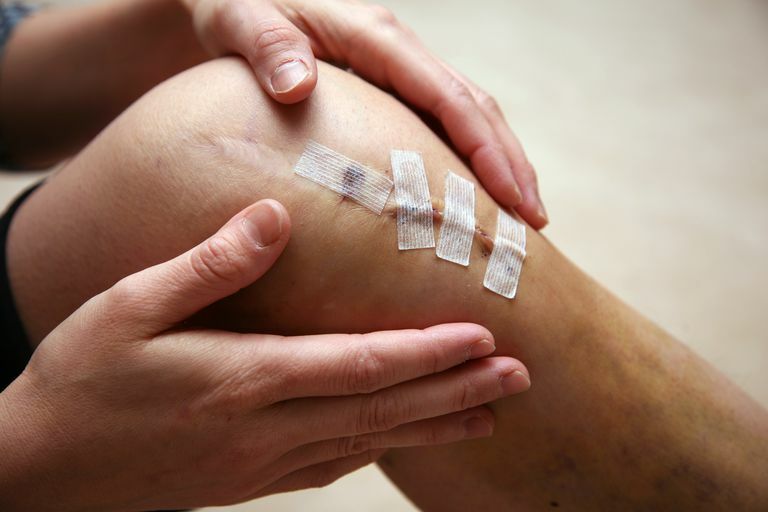 How it is decided to have ACL surgery: Pros and cons of having ACL surgery. ACL Surgery: Learn about the timing of surgery, the different types of grafts used in ACL reconstruction, recovery from surgery and rehabilitation, and return to sports. Post-Surgical Rehab After ACL Surgery: See the timeline from the first days after surgery through physical therapy and return to sports. Physical Therapy After an ACL Tear: Learn about the physical therapy goals and what ACL therapy protocols will be used after ACL surgery. ACL Tears in Children: The ACL attaches at the growth plate for the leg bones, making it a riskier choice to do ACL reconstruction if the child is still growing. Learn more about this dilemma. ACL Tears in Women: Women athletes are at a higher risk for ACL tears. Learn about why this risk is increased and what can be done to prevent them. Preventing ACL Tears with Neuromuscular Training Programs: Both children and adult athletes can reduce their risks of ACL tears with specific training programs.